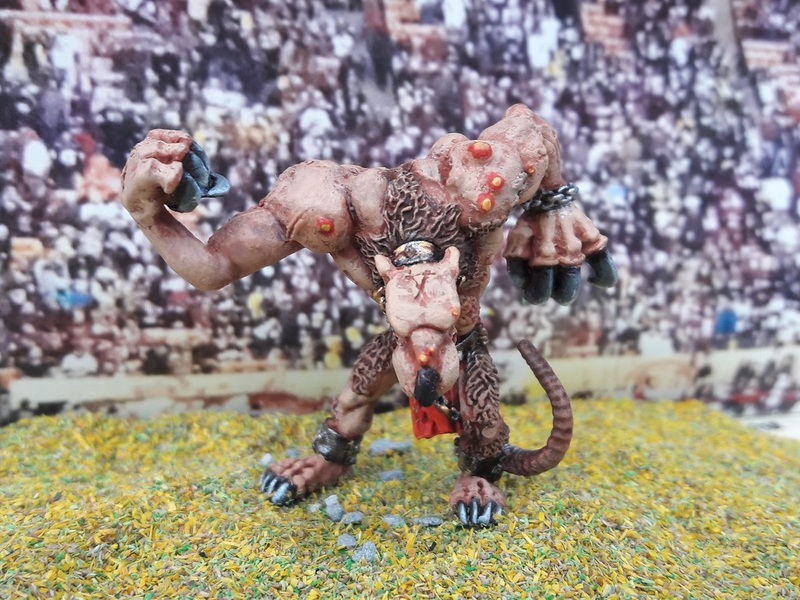 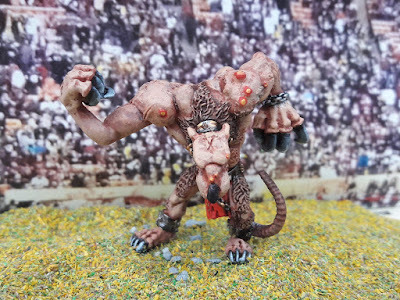 With the exception of the Rat Ogre, these models have been a source of shame for over 25 years. 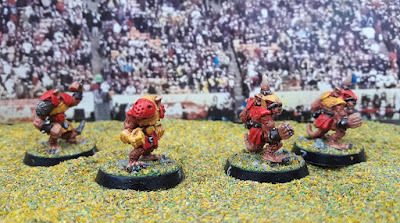 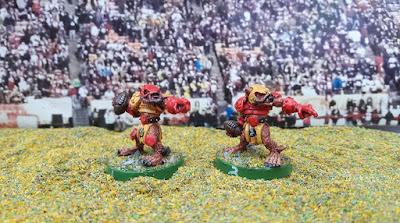 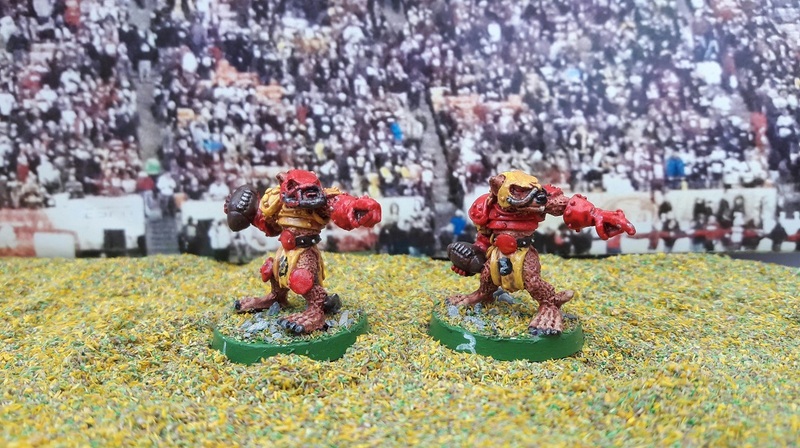 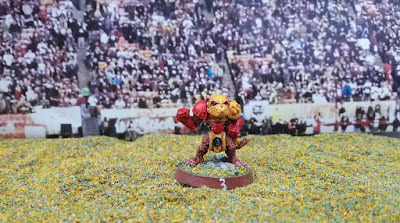 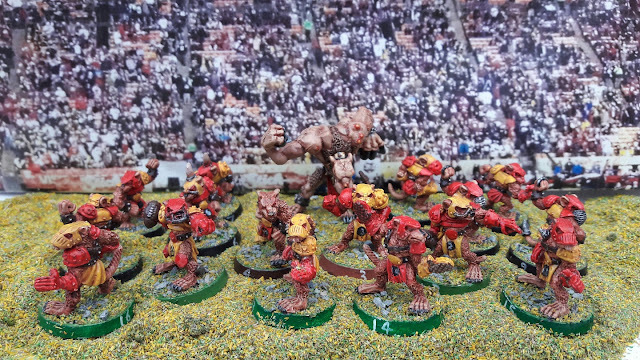 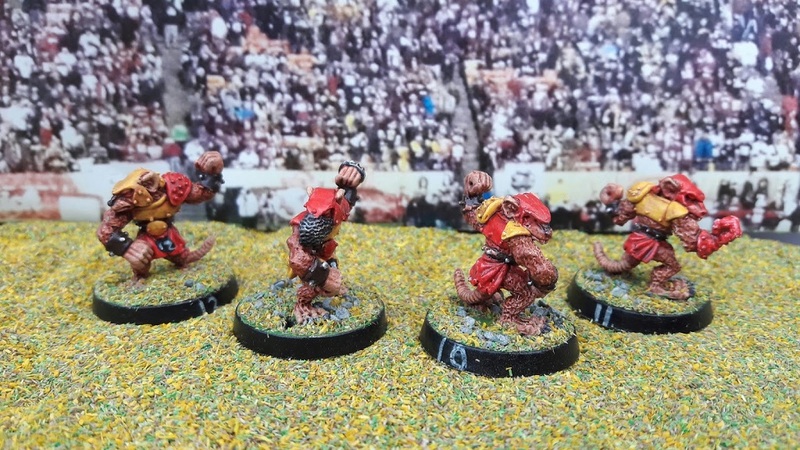 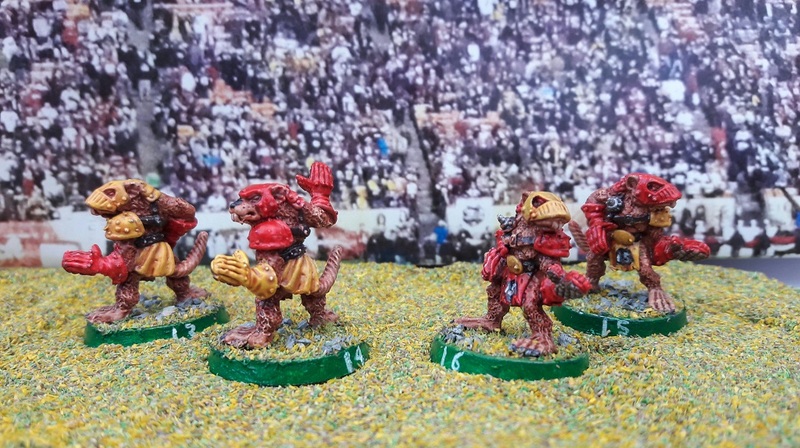 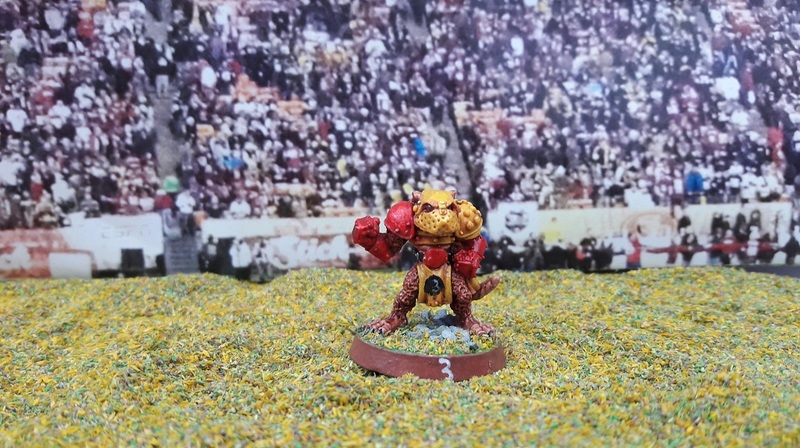 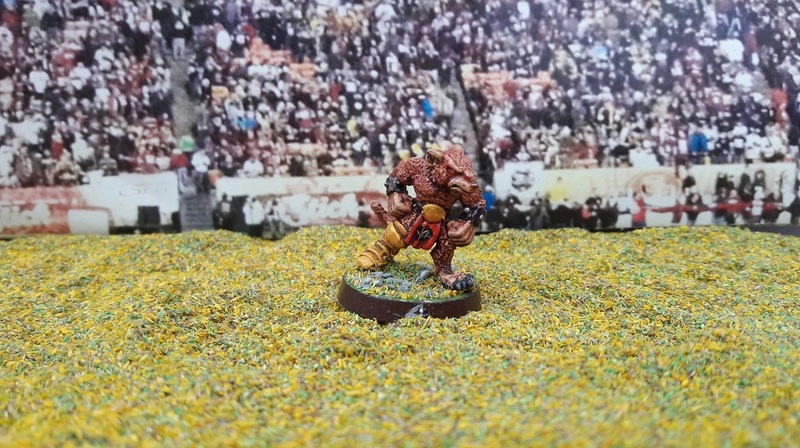 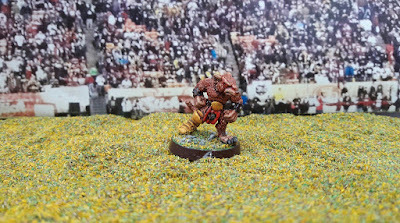 I bought them way back when GW released Blood Bowl 2nd Edition and made a faltering start on painting them, put them down for (probably at least) a decade, did a bit more on them, gave up again for (probably) another decade, picked them back up, decided I could do better and paint-stripped them. 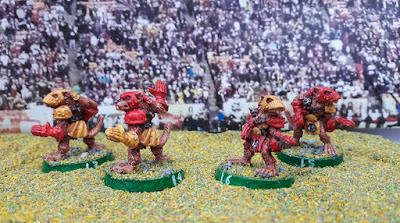 And there they sat, until now, when I finally picked them up and started again.